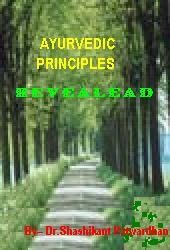 It is a good first ebook that will satisfy your desire for deeper knowledge of Ayurvedic principles.This ebook conveys the philosophical and fundamental principles of Ayurveda in a dynamic and inspirational way, providing a detailed foundation upon which to pursue deeper knowledge. 'Tridosha' principle of Ayurveda- Vata ,Pitta & Kapha. Concept of Sapta-(seven) Dhatus, Malas	. Fundamentals like -Ojus, Agni, Shrotas. Basics of Ayurvedic Treatment - Panchakarma etc.